Summer is in full force and our days are filled with splashing and swimming and playing at the pool. 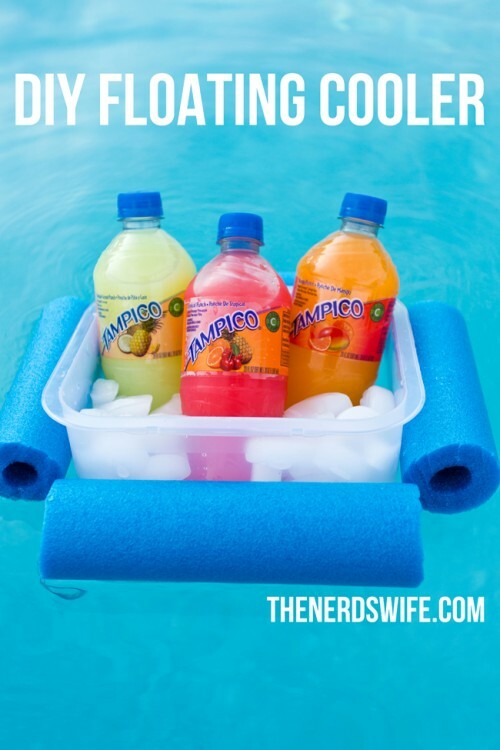 We are excited to partner with Tampico Beverages to bring you an easy pool hack to keep your favorite beverages cold during your time in the sun! 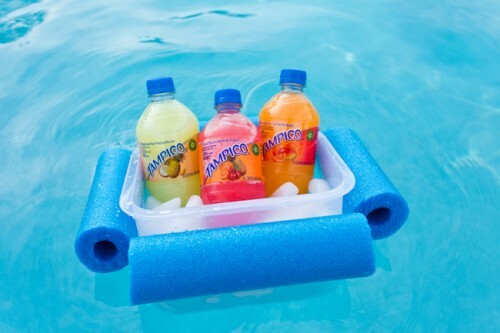 When loading up our pool bag, we always grab some bottles of Tampico — their delicious fruit flavors are the perfect addition to summer fun. 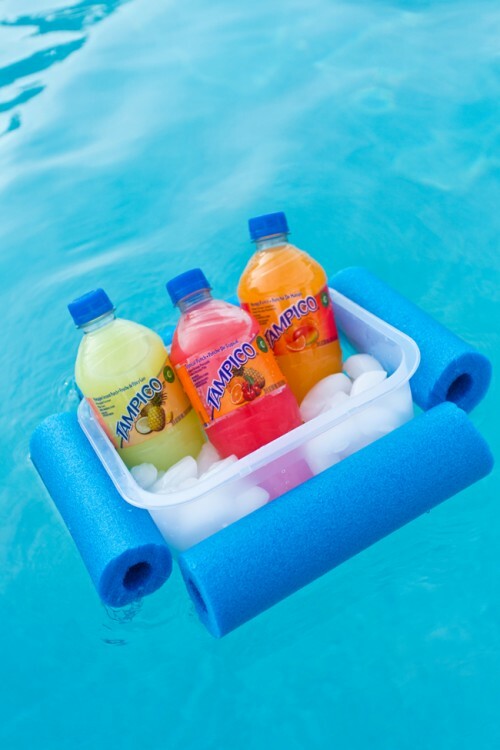 And when you’re relaxing in the pool, you want to make sure that your favorite drinks are nearby. 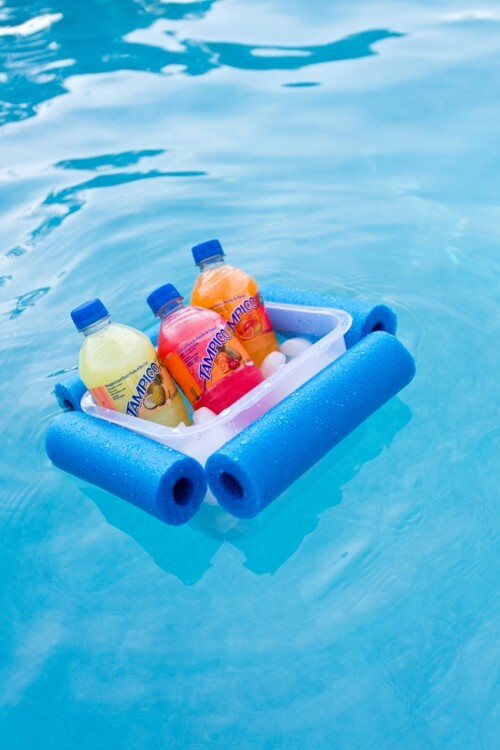 That’s where this DIY Floating Cooler comes in! 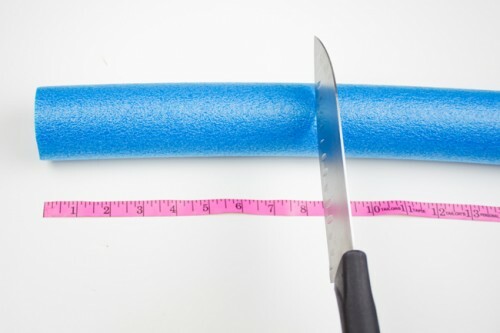 Measure the sides of the container and cut the pool noodle to match. My container was 8-inches long on two sides, and 6-inches long on the other two. String the fishing line through the noodles and tighten around the outside of the plastic container. Tie closed. Fill with ice and your favorite Tampico beverages. 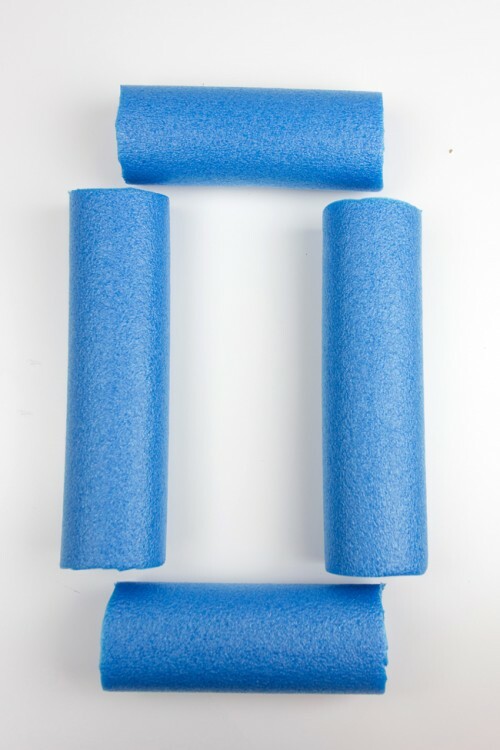 The pool noodles will keep the container floating in the water so your drinks are close by! Make sure to check out Tampico’s website for even more fun summer ideas!